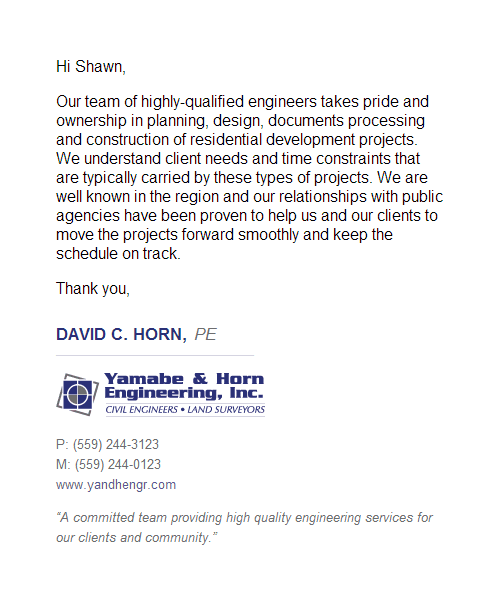 Yamabe & Horn Engineering, Inc.
I’ve worked with Graticle Design on several projects and I have nothing negative to say. Shawn and his team do a remarkable job on both design and project management, and I’ll continue using them for the long term. In addition, Shawn has saved my backside several times when my site has been hacked – probably saving me thousands in lost dollars and hundreds of hours of lost time. I appreciate how Shawn takes a personal interest in everything I do, wanting to fully understand my businesses and seeks to not just “to a task” but help me make a bigger impact on the world.